You’ll find a lot of resources for business owners searching for their first perfect business credit card for their preferences and needs. But what about business owners who already applied for a card without considering which one they were applying for? In that case, you might have the wrong business credit card—and need to find a better one. If your business credit card hasn’t quite won you over, you should be looking out for certain red flags that signal it’s time for a business credit card switch. Some of these will be more important than others, and mean you should close your current business credit card account to move to another entirely. Others might mean that you should simply open another business credit card account. 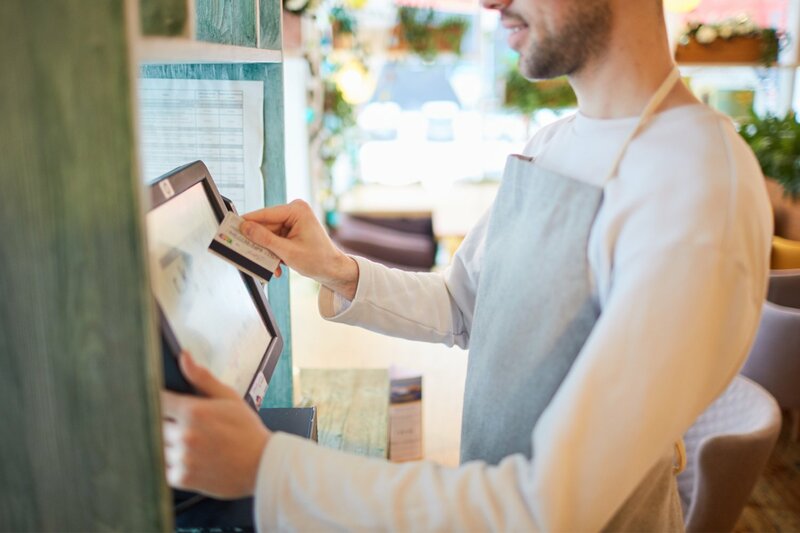 If you’re a current business credit cardholder, run through this list and see if you see yourself in any of these five signs. If that’s the case, you just might have the wrong business credit card—and it’ll be time to apply for a new one if possible. 1. You’re struggling to pay the annual fee. If you’re struggling to pay your business credit card’s annual fee every year, then you have the wrong business credit card. This is maybe the single most important sign there is. And although it might seem painfully obvious, it’s important to stop and think about—because if you’re worried about a card’s annual fee, then this is a sign of something more profoundly wrong with your business credit card setup. Any annual fee that you’re paying for a business credit card ought to be easily justifiable—whether you know for certain that you’re making up for the annual fee through sustained rewards for spending, you’ve earned a sizeable welcome bonus, or you’re accessing valuable travel perks. Unless you’re more than willing and able to pay the annual fee for your business credit card, you’re not getting enough value from your card membership. Consider the Capital One Spark Cash Select for Business instead. If you’re looking for a card that will certainly allow you to out-earn its annual fee, then you should get a business credit card with no annual fee at all. One of the best offers out there for a no-fee business credit card is the Capital One Spark Cash Select, which offers unlimited 1.5% cash back for every dollar you spend, along with a welcome offer of $200 once you spend $3,000 during your first three months as a cardholder. 2. You have predictable spending patterns, but you’re not earning more on what you spend on most. It’s pretty simple—your business credit card should be rewarding you the most for whatever you spend the most on. And that’s why so many business credit cards offer tiered rewards programs—they’ll let you earn more rewards for specific types of expenses. For example, if your business spends large amounts on advertising every month, but you’re only getting a base-level rewards rate of 1% cash back or 1x rewards for advertising expenses, then you have the wrong business credit card. Take a look at your expenses and see what your business spends the most on every month and, in turn, go find a business credit card that will allow you to access top-tier rewards for that expense category. Maybe the Chase Ink Business Cash is a better fit. 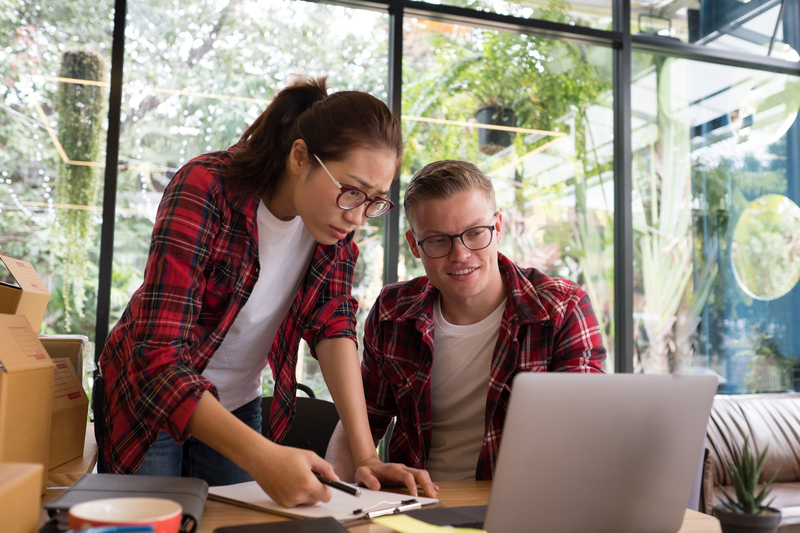 The top business credit card for solving this red flag will certainly vary from business to business depending on what expenses they invest in the most. That said, the Chase Ink Cash is a wonderful example of a small business-friendly tiered rewards program—and could fit exactly with your spending. 3. You’re carrying high-interest balances. Paying off high-interest debt really is avoidable if you’re able to find the right business credit card balance transfer offer. Balance transfer business credit cards will allow you to transfer your pre-existing business credit card debt onto your new business credit card. The best balance transfer offers give you access to a 0% intro APR period for your balance transfer. This means that you’ll be able to pay down your debt gradually without accumulating any more interest on this debt. Basically, if you’re paying down business credit card debt gradually, and you’re accumulating interest, then you have the wrong business credit card. There’s a better option that’ll save you money and set you up to build better credit at the same time. The American Express Blue Business Plus is likely a better fit. The very best business credit card for those who need to pay down credit card debt is the Amex Blue Business Plus. The Blue Business Plus comes with a 12-month 0% intro APR period that applies to both purchases and balance transfers. As a result, you’ll be able to transfer your pre-existing debt to your Blue Business Plus account for a one-off balance transfer fee of either $5 or 3% (whichever is greater) and pay it off gradually over 12 months, without accumulating any more interest on your debt. After your 12 months is up, your APR on the card will set in at a rate that will depend on your creditworthiness and the market prime rate. (Be sure to check the issuer’s terms and conditions to get the latest APR information.) So, make sure you’re able to pay down your debt within those 12 months. Also, it’s important to note that you’ll have to transfer your debt within 60 days of opening your account, otherwise the 0% intro APR won’t apply to your pre-existing debt. 4. Your rewards aren’t useful for your business. Another way to know that you have the wrong business credit card is if the rewards you earn with it aren’t of much use for you. We see way too many business owners who opt for a points-based business credit card and ultimately have no idea how to redeem the points they earn. 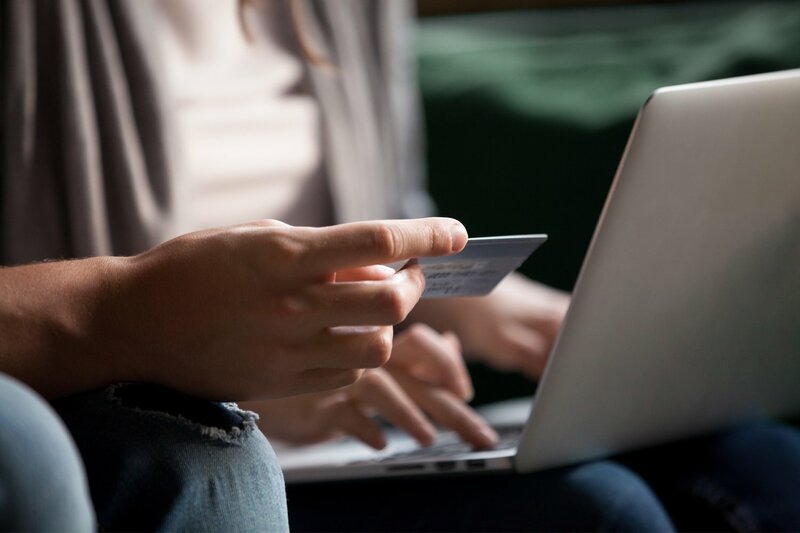 If you’re not sure how to redeem the rewards points you’re earning with your business credit card, then you’re probably much better off with a cash back business credit card. Points will have value on a sliding scale, so there’s no telling how much or how little they’ll be worth when you redeem them. And oftentimes, they’re worth much more when you redeem them for hyper-specific things—such as plane tickets with a certain airline or gift cards for a certain brand. Cash back will always be worth the same amount, no matter what. And any small business owners out there can always use some extra cash, while not every business owner out there necessarily has much use for a Best Buy gift certificate. 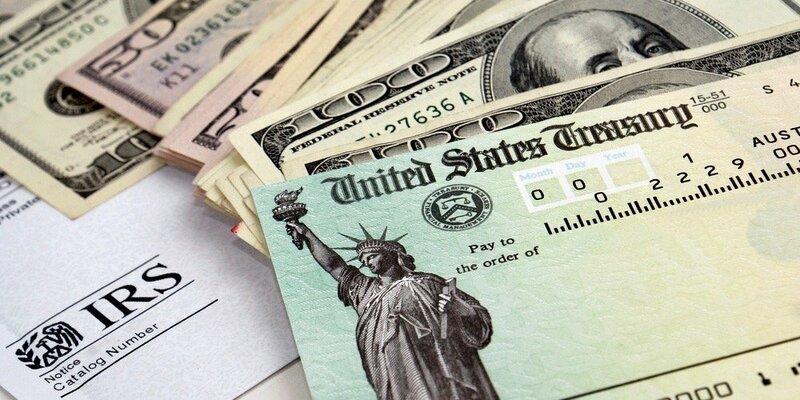 The American Express SimplyCash Plus Business might be a great alternative. The Amex SimplyCash Plus is one of the best cash back business credit card offers currently available on the market. 5. You’re constantly maxing out your credit limit. 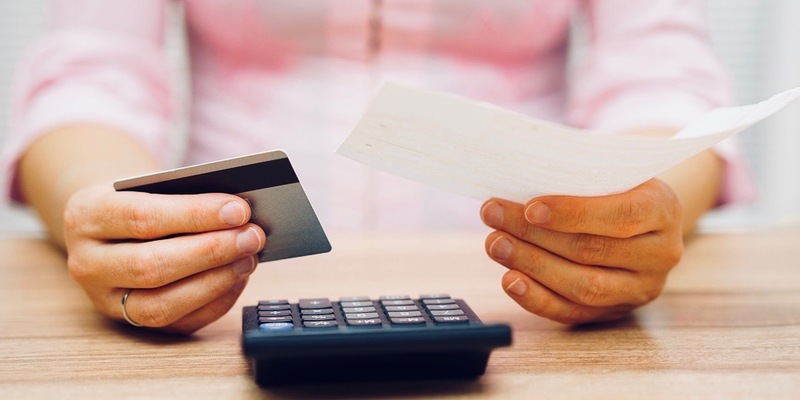 If you’re constantly incurring exorbitant fees for outspending your business credit card’s credit limit, then you definitely have the wrong card. In fact, you shouldn’t be spending with a business credit card at all—you should be spending with a business charge card. Unlike business credit cards, business charge cards won’t put a set limit on your spending. That said, they operate on the assumption that you’ll repay your balance in full every month. So, with a business charge card, you’ll be able to spend to your heart’s content without worrying about a credit limit, but you will need to be certain that you’ll be able to pay your balance in full every month, or your issuer will saddle you with costly late fees. If you know you can, though, the flexibility is totally worth it. If you’re ready for a charge card, try the American Express Business Gold Card. You’ll earn 4x rewards for spending within the two categories—from a list of six—on which you spend the most each month. This huge rewards rate will apply to up to $150,000 in purchases each year. Plus, American Express is offering a welcome bonus of a year’s worth of G Suite Basic and ZipRecruiter, no matter how much you spend within your first months with the card. If you’re using the wrong business credit card, your next steps will depend on a few factors. First and most importantly, you’ll need to find a better business card for your situation. Next, you’ll need to ensure that you have a personal credit score that will allow you to qualify for this new business credit card. And if you need to close your old business credit card account, know that it might ding your credit scores just a little. That said, a small decline in credit far outweighs paying an annual fee for a card you no longer use. Weigh your next move accordingly and take the next step that you feel most comfortable with.